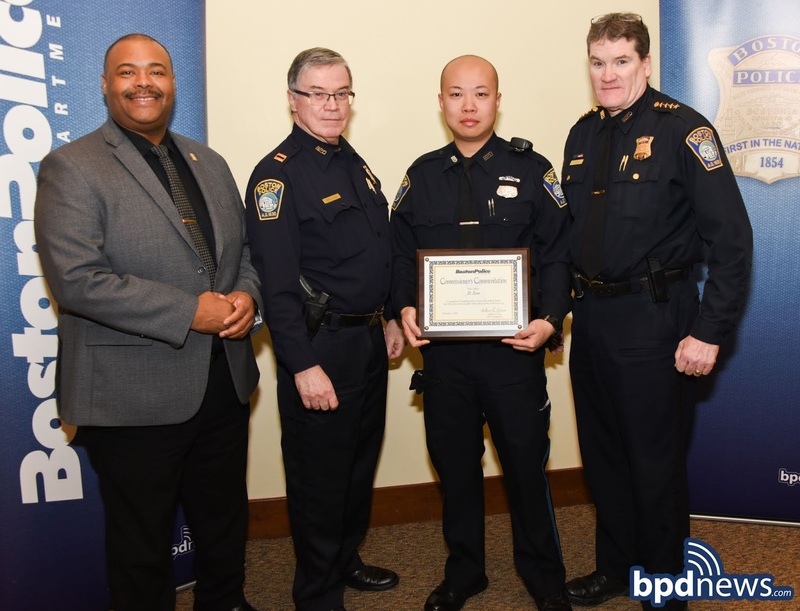 In November of 2018, Police Officer Zi Zou assigned to District E-13 (Jamaica Plain) responded to the area of 1550 Columbus Avenue and observed two men fighting outside the Jackson Square MBTA station, with one attempting to stab the other. The suspect armed with a knife fled into the Mildred Hailey Housing Development with Officer Zou in pursuit. The suspect turned to face the officer. Officer Zou gave commands for the suspect to drop the knife but he refused. With only several feet separating them, Officer Zou made the calculated decision to attempt to disarm the suspect and pinned the suspect, as additional units arrived to assist. The suspect was disarmed and placed under arrest. It was later determined that the suspect was possibly an emotionally disturbed person and had randomly pulled a knife on the victim. 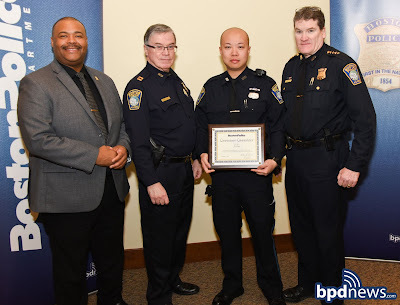 Thanks to the actions of Officer Zou, the suspect was stopped and prevented from causing serious bodily injuries to other innocent people, while at the same time, ensuring for a medical evaluation of the suspect. For his actions, Officer Zou is hereby awarded a Commissioner’s Commendation.